Summer might be technically over, but autumn doesn't officially start until 22 September, and you can bet the weather won't be any cooler until then in south Texas. 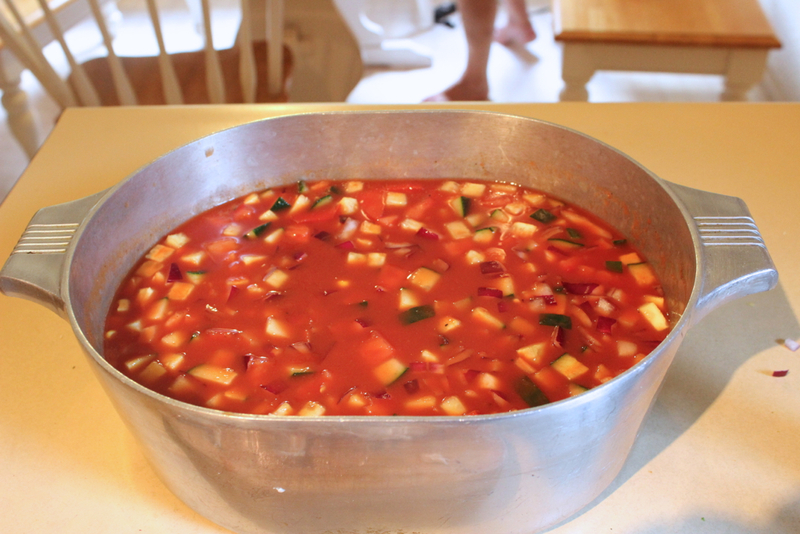 Therefore, I think a good summer soup is still in order, and one of my absolute favorites is gazpacho. 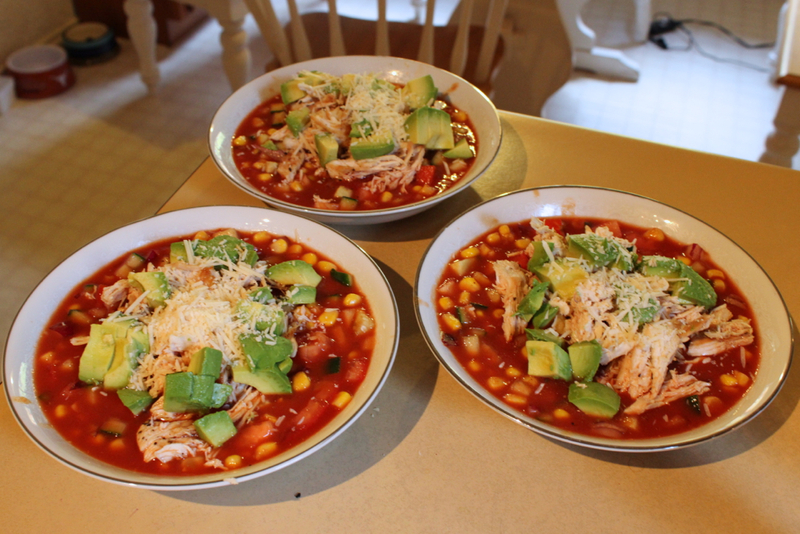 This particular recipe was inspired by a soup I tried at the City Market co-op when I was living in Burlington, Vermont a few summers ago. It's a little bit spicy, a little bit crunchy, and packed with flavor. And while there is a fair amount of vegetable prep required, there's no need to blend, emulsify, or cook this soup, so it's easy to make if you're short on time! 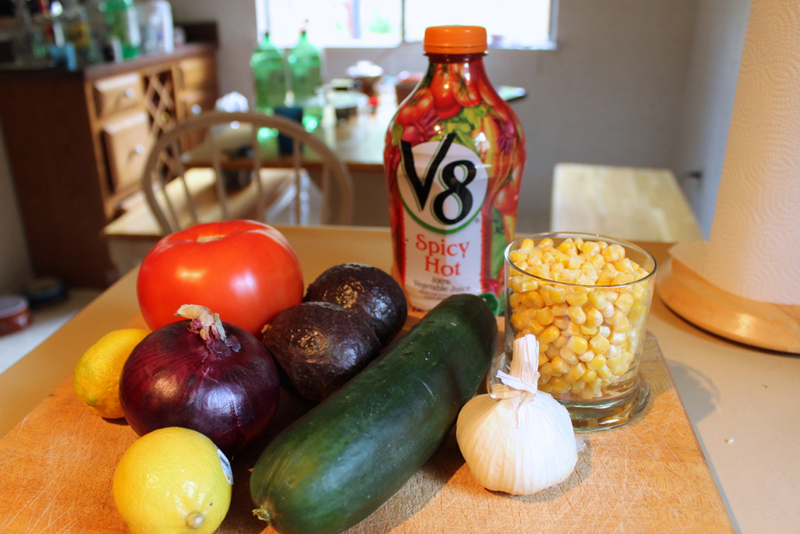 Dice all vegetables and add them to a large pot. 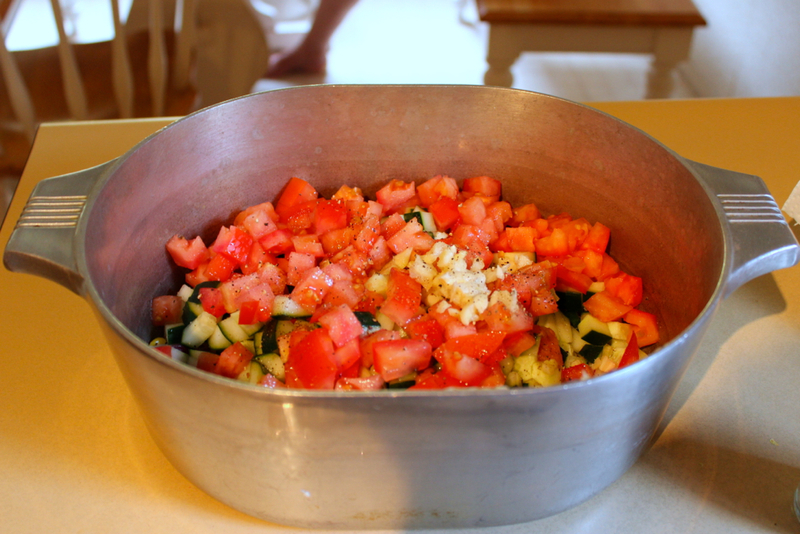 Fill with tomato juice, and season with lemon juice, salt, pepper, and olive oil. Allow the gazpacho to chill in the fridge for 20-30 minutes. 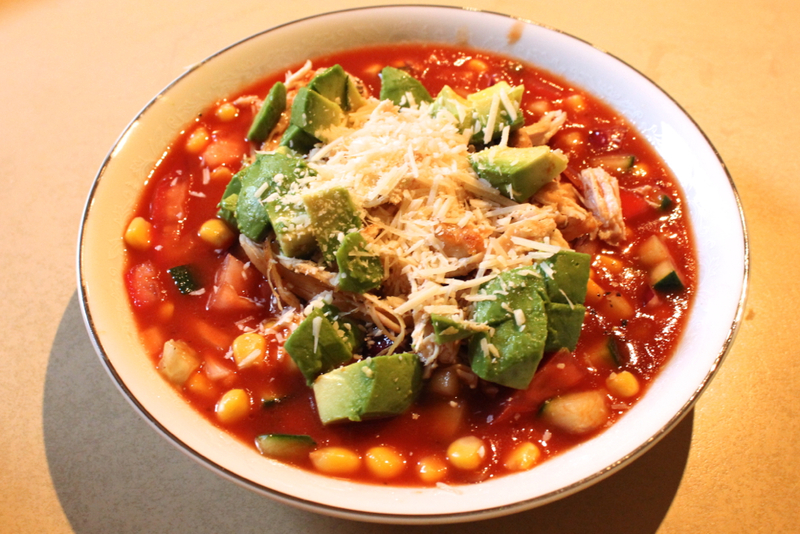 To serve, top with shredded chicken, diced avocado, and shredded parmesan. Enjoy with a nice chilly glass of white wine until the weather finally takes a turn for the better!